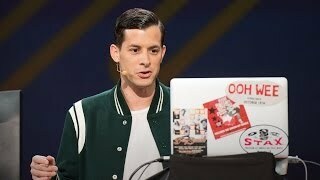 Best Event Talks: Enjoy a remix of previous Ted Talks by Mark Ronson as he samples some of the greats and provides insight on the history and impact of sampling. Music, oldies, entertainment and new reports ... Sampling isn’t about “hijacking nostalgia wholesale,” says Mark Ronson. Sampling isn't about "hijacking nostalgia wholesale," says Mark Ronson. It's about inserting yourself into the narrative of a song while also pushing that story forward.